Starting 16 June, Thiruvananthapuram will host the five-day International Documentary Short Film Festival of Kerala (IDSFFK). For its decade celebration, the festival has a diverse line-up of over 200 films. But if the Ministry of Information and Broadcasting (I&B) has its way, this line-up will be short of three films. 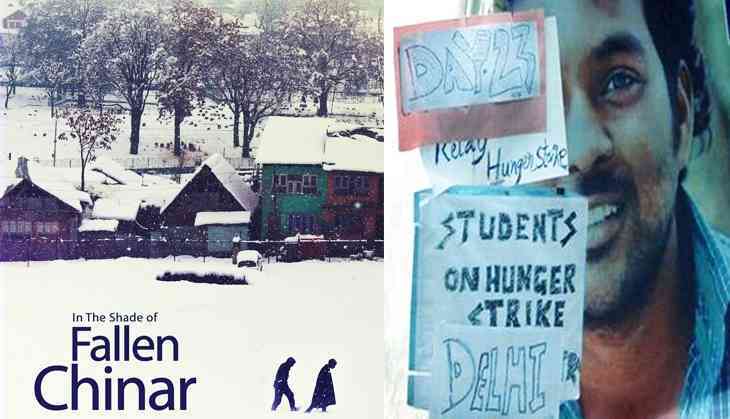 Three documentaries – The Unbearable Being of Lightness (on Dalit research scholar Rohith Vemula's suicide), March March March (which chronicles student protests at Jawaharlal Nehru University (JNU)), and In The Shade of Fallen Chinar (which tells the story of Kashmiri university students) – have been denied permission for screening by the I&B Ministry. Films that are not granted a Central Board of Film Certification (CBFC) certificate, require this exemption for film festival screenings. Interestingly, of the 210 films IDSFFK planned to screen this year, 170 didn't have CBFC certificates. So, why were these three films singled out? According to the director of I&B film's wing, the films flouted certain guidelines. “We have certain guidelines available on our website. If there's a film that doesn't fall under our guidelines, we can't give it permission,” director Girish Chand Aron tells Catch. “There are certain issues mentioned in the guidelines, and on the basis of that, these films have not been allowed exemption,” he adds, choosing to not elaborate on these “issues”. Shawn Sebastian, who co-directed In The Shade of Fallen Chinar, has never heard of these guidelines. “This is the first time I've heard the ministry saying this is outside of their guidelines. And we were not informed about any guidelines. “At a film festival, the selection should ideally be done by the jury. And we have an eminent jury, and they wouldn't take a film that flouted ministry guidelines,” he tells Catch. “So, a screening which has some value, some merit has already happened, and this is an external overreach beyond that. We are actually fighting that,” he adds. Sebastian has taken the matter to Kerala High Court “for interim relief”, and since the matter is subjudice, he chooses to not comment on the proceedings. Instead, he talks about the larger problem of why things like this happen. “If you look at the films, all of them deal with recent developments that put the government on the back foot. So these are all attempts to stifle an alternate narrative, so that the ruling dispensation can mould it into a homogenous narrative. Festival director Kamal made a similar observation when the ban was ordered, terming the situation a “cultural emergency”. To that, Sebastian says, “We're really glad to get support from the festival committee. Even Kerala's culture minister asked why should the government get scared when contemporary issues are made into films. Sebastian and the other concerned filmmakers do indeed have a lot of support pouring in from the industry. “We will promote these films extensively in Kerala, let Narendra Modi come and stop it. We don't need a PM's permission on what films we should see,” film director KP Sasi tells Catch. “Narendra Modi is a stuntman sitting at the post of Prime Minister. He has no respect for the Indian Constitution. Where's the freedom of expression in this country?” he asks. Is this I&B or CBFC's job? Nakul Singh Sawhney, maker of the controversial documentary Muzaffarnagar Baaqi Hai, has faced this problem of checks and stops at every juncture. Speaking to Catch, he talks about how intolerant our government is of “dissent”. “The point is, the government, like any other authoritarian government, is intolerant of any kind of dissent or criticism, because, clearly, it's ashamed of its tenure,” he says. “There's a standard technique by which they're operating. Either they'd stop at the censor level (films like The Battle Battle of Benares, En Dino Muzaffarnagar), or they won't give an exemption certificate, like here, and if they're screened, you send your storm troopers. You send your goondas from the ABVP or the Bajrang Dal. “Look at the idiots sitting at CBFC. For this film, Lipstick Under My Burkha, they said something as obnoxious as 'lady-oriented film'. So what are you expecting?” he asks. Filmmaker Sanjay Kak busts some myths, highlighting how wrong it is to censor films from festivals, the one place they have the right to be screened. “First things first: film festivals have been exempted from censor clearance by the very same I&B Ministry that now seeks to axe these films. “All that the festivals are required to do is provide a list of the selected films, with a synopsis, and the names of a selection committee that found these films appropriate for screening... So it's a bit of an obvious joke, isn't it?” he tells Catch. 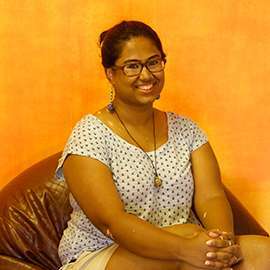 Calling out the problem with the attempt itself, Kak says, “The attempt is to choke, not three films – you can be sure that many more people will get to see these films now – but the issues themselves. That is both ridiculous, and unachievable. Filmmaker Anand Patwardhan speaks to Catch from the Sheffield International Documentary Festival, where he's a part of the jury. Sheffield, interestingly, is a space where this sort of a clampdown on films would never be acceptable. And perhaps, that's India's shame. “It is completely unacceptable for films to be banned from a festival because they don't have a certificate,” says Patwardhan, adding, “In fact, we've fought on that issue in 2004, [when] the Mumbai International Film Festival tried to impose that Indian films would have to be censored, while foreign films would be exempt. Commenting on it being called a “cultural emergency”, Patwardhan says, “This is worse than an emergency, because during Emergency everyone knew there is an Emergency.